HOUSTON — I caught up with Lamar McKay, BP's deputy chief executive, to chat about the company's venture and low-carbon strategies. Where it stands: BP Ventures is mix of equity investments, acquisitions, and collaborations in technologies like fast battery charging, advanced monitoring of oil-and-gas operations, artificial intelligence and more. It's part of BP's wider, $500 million-per-year mix of low-carbon and alternative energy investments. What's next: That $500 million figure could get higher. "We hope it grows going forward. We think it will. ... We see a lot of opportunity," he said. 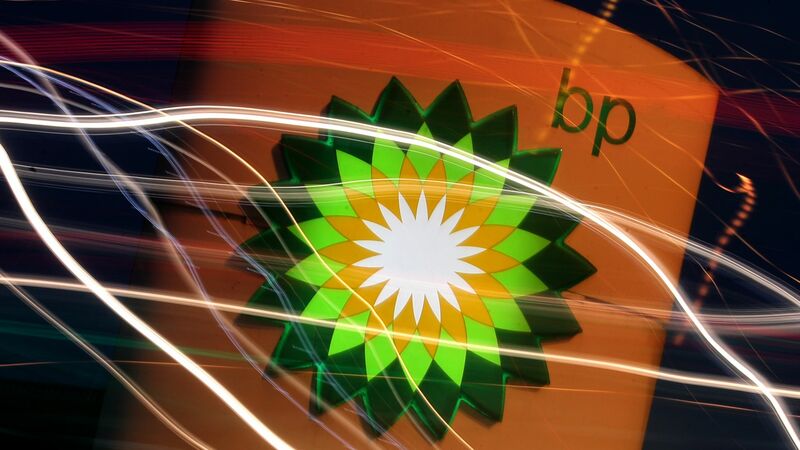 China: BP recently made a venture move in China via an investment in PowerShare, a digital platform that connects EV drivers, charging station operators and power suppliers. What I didn't know is that BP has set up a small venture office in the country to sniff out other opportunities. "There is innovation occurring in China at a scale and at a pace that is probably not matched in the rest of the world," McKay said. "They are leap-frogging technologies. ... They are skipping conventional progression on some of these things," he said. "Obviously with the amount of activity going on in EVs, advanced mobility is an area that will continue to be interesting there, but [it's] really across the spectrum," he added. Carbon removal tech: McKay said BP Ventures is exploring frontier technologies for removing CO2 from the atmosphere. I asked about tech for removing CO2 at the early stages, such as via direct air capture, soil-based techniques and more. "We are looking at some of those, whether they will result in an investment, I don't know yet, but yeah, absolutely we are keeping an eye on that," McKay said. BP already invested in Solidia Technologies, which absorbs CO2 in the concrete production process. BP is supporting a proposal by activist investors that calls on the multinational giant to disclose how its spending and strategies sync up with the Paris climate agreement. In a related move, BP said progress on greenhouse gas cuts will factor into the pay of 36,000 employees, including executive directors. Why it matters: Friday's move is the latest sign of how some of the world's biggest fossil fuel producers are responding to pressure from advocates — including some large investors — on global warming. It comes 2 months after Royal Dutch Shell, after consultation with the same investor network called Climate Action 100+, agreed to set short-term carbon emissions goals for its products. Where it stands: BP supports a resolution from Climate Action 100+ to be adopted at BP's annual meeting later this year. Provisions include a call to show how billions of dollars of capital expenditures on oil-and-gas exploration and development, and investments in other technologies, are consistent with the Paris agreement. The resolution recognizes BP's prior moves on climate, including "best in class" management of methane, but says more is needed. "Based on current disclosures, it is not possible to evaluate the extent to which the Company’s investments in fossil fuel reserves or resources are consistent with the Paris Goals," it states. Who they are: The group says its 310 members collectively manage $32 trillion in assets. Members include Hermes EOS, Allianz Global Investors, Calpers, the Church of England Pensions Board, and HSBC Global Asset Management. What they're saying: "This additional reporting will give investors better clarity about how BP can continue to deliver value through the energy transition in a way consistent with the Paris goals," BP chairman Helge Lund said in a statement. When it comes to compensation, BP is linking annual bonuses with progress toward a 2018 pledge to cut emissions from its own operations by 3.5 million tons by 2025.